Old country roses tumbling over the neatest picket fences. Stone spires and church yards that evoke the solemn ding-dong of vespas. White colonial clapboard houses with dark window shutters. Bluestone footpaths leading to fine sandy beaches overlooking the hazy outlines of neighboring Long Island. 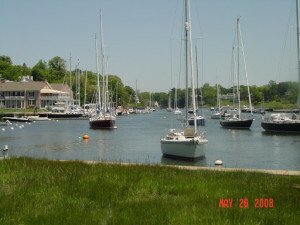 Sailing regattas, manicured golf links, summer parades and pageants with friendly Grand Marshals. Santa barelling down the road on a fire engine, hurling candy and popcorn to excited kids. Robinson Cottage, Fairfield county’s oldest home, serving hot cider and chocolate cookies to enchanted visitors out on a frosty Christmas stroll…Southport is all this and more. For those of us who have had the good fortune of living here for over a decade, it is the happiest, most beautiful place on earth. 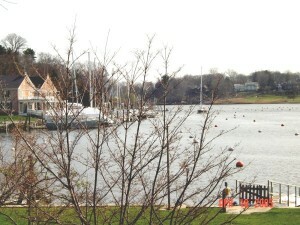 Southport Village, that I feel blessed to call home, is tucked away in a tiny fold of Connecticut’s Gold Coast. The area was known as Sasqua to the native American Indian tribe of Mashentucket Pequot Indians who once inhabited this portion of the Connecticut coastline and is depicted by this name on colonial maps of the state. The arrival of Dutch and later English settlers to the region forever changed their fortunes. The Anglo-Pequot Wars of 1636 all but decimated the tribe whose few survivors fled to the hills of north-eastern Connecticut where they inter-married and caused great dissolution of their blood lines. The Pequot Reservation near Foxwoods and Mohegan Sun Casinos today provides them with a safe and peaceful refuge. Pequot Avenue, named for those almost-extinct Pequot Indians, is the main arterial road that runs through the village of Southport from the beach to its merge with the Old Post Road to Boston–so-called because in colonial times, the mail was carried post haste between the two great cities of New York and Boston on this coastal route. Our home, Holly Berry House, stands on Pequot Avenue. It fascinates me to think that the same soil upon which I grow my hydrangeas and hostas today was once farmed by native American squaws who probably grew corn and beans for food to feed their families. 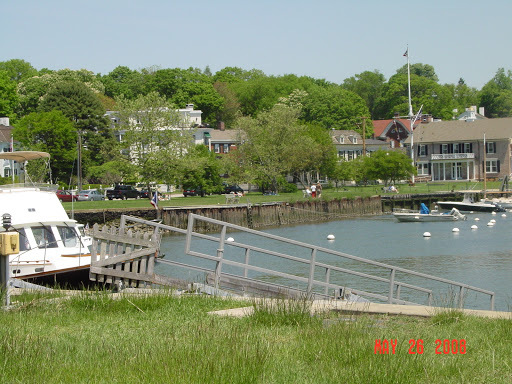 In colonial times, Southport became prosperous as the loading port for the transport of the famous Southport Globe onion to the eastern city of Boston and the western city of New York. Both, farmers and traders profited from this lucrative business. As the village grew in financial security, grand mansions were built on the river by such prominent families as the Perry brothers whose lovely homes continue to grace the harbor. Over the years , Southport has been home to a number of celebrity residents. Novelist Robert Ludlum owned an estate here as did the late acting duo Jessica Tandy and husband Hugh …..Entrepreneur Jack Welch owns a sizeable home here as did radio DJ Don Imus. Controversial journalist Seymour Hersh has a home on Pequot Avenue and Lola Robards, the late actor Jason’s wife, has the most coveted pocket of real estate overlooking the gently lapping waves of Long Island Sound. 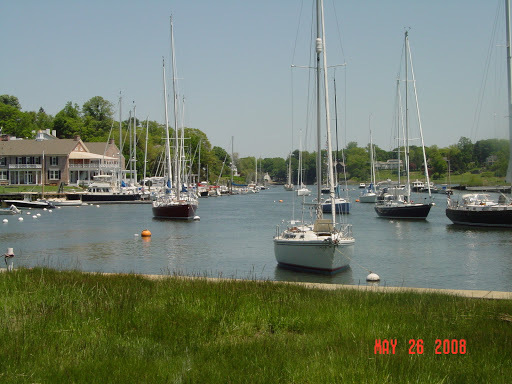 Today, Southport is a combination of modern ritzy-chic stores that sell everything from art and antiques to pizza and ice-cream and pretty homesteads that run the gamut from old-world mansions to Cape Cod saltbox structures to center-hall colonials. The architecture of the homes is uniformly New England in style and proportion (no McMansions for us, thank-you), thanks to the vigilant services of the Sasquanaug Association of which I am privileged to be a board member. 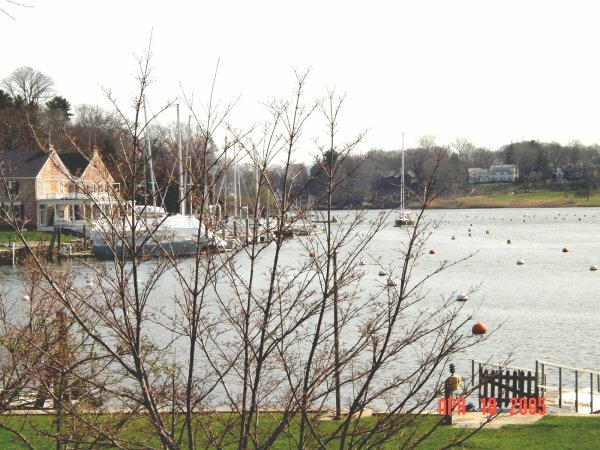 We keep an eagle eye on all new construction to ensure that the charm and gentility of the village ambiance is preserved for the generations to come and that this lovely, well-kept secret enclave of the Connecticut coast might retain its magic forever.